This is the least expensive hex-core Intel i7 available in a 2011-3 socket. The next step up is only 0.2 GHz faster, for which you will pay an extra $200. This was good enough. CPU overclocks like a bat out of hell... I am very pleased with its multi-threaded workload capacity and I see little reason to upgrade to the 5930K or 5960X in the near future. Handles gaming and web browsing across my monitor and a TV without going over 50% load (the game in question is ArmA 3) and is butter smooth throughout it all. Handled a six hour benchmark very well. 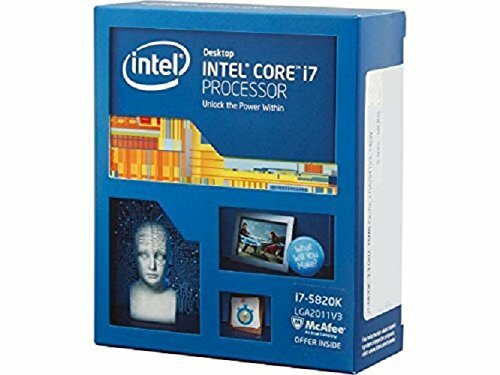 $400 for 6 cores, 12 threads, easy OC ability and amazing performance!? Get me one! Oh wait, I got one. I have OC'd to 4.5GHz with no problems, however I keep it at around 3.8-4 because I honestly don't gain much. Even at base clocks, an amazing processor.